Welcome to the FunSplash Sports Park! The FunSplash offers a new experience and a new challenge! It is an opportunity to physically and mentally challenge yourself in a friendly and safe outdoor environment. The FunSplash encourages teamwork and problem solving while promoting overall health and wellness! It’s the ultimate playground! Get away from the hustle and bustle and spend a few hours or the whole day at the lakefront! We are a separate, privately owned business that has a lease with the conservation allowing us to operate there. Please refer to the Binbrook Conservation Area for their prices. Meet us at the Sales Tent to purchase your Splash Pass and sign your waiver. We’ll equip you with your own personal floatation device and you’re off to play on the FunSplash! 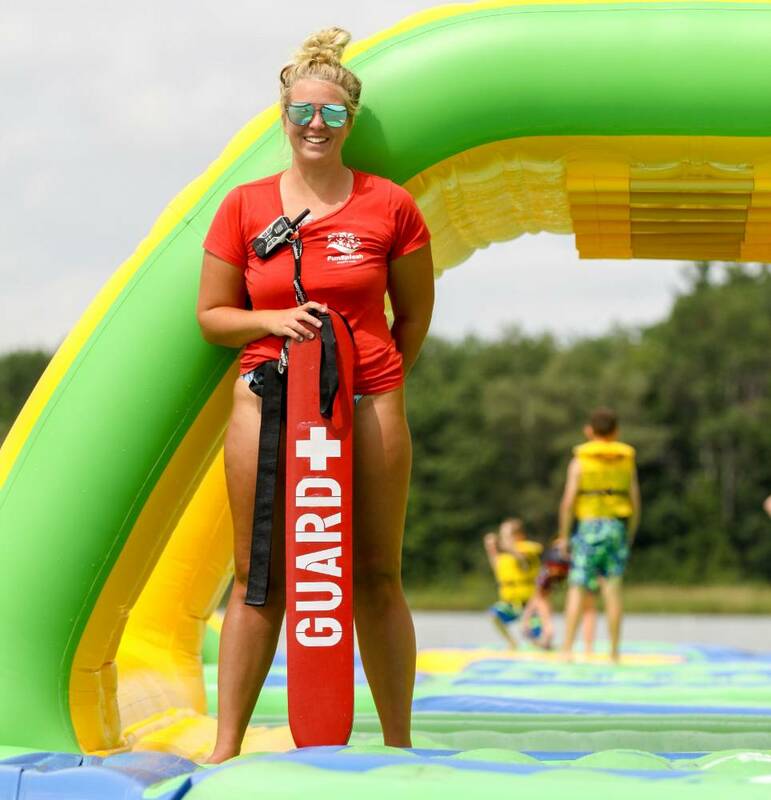 Our staff and lifeguards are always available to assist you with any questions and to ensure your utmost safety! Also, be sure to view our F.A.Q. page to get all the info you need. 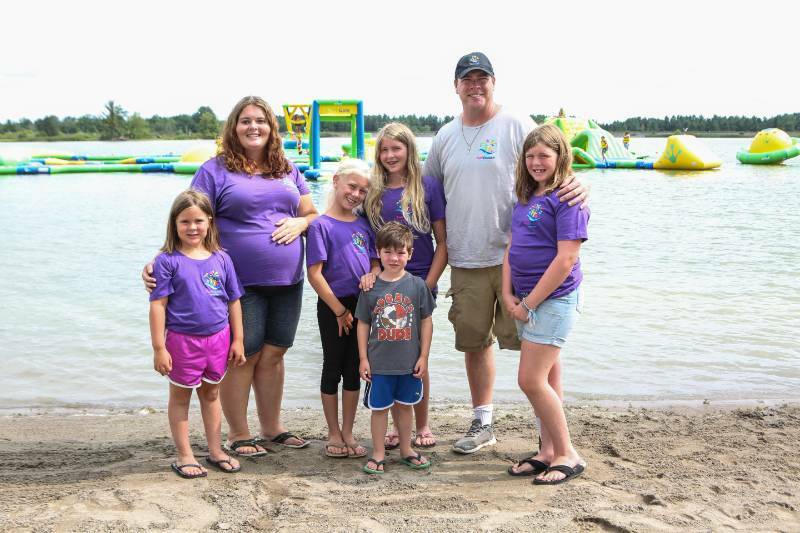 The FunSplash Sports Park is operated by PT Watersports Inc, a family business owned and operated by The Jacksons.